Createspace Independent Publishing Platform, 9781483951058, 374pp. Christine Beckett's dream of partnership in a prestigious New York City law firm has finally come to fruition. She has financial security, a loving family, and owns her home, why does she need a man? 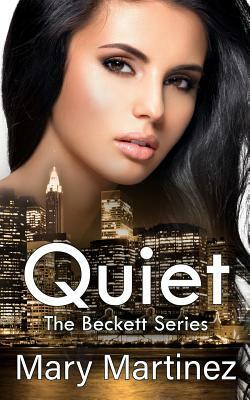 Detective Solomon has worked with Tyler Beckett on several cases, he almost feels he is part of the Beckett clan. He considers them his good friends, except for Christine who seems to look down her professional nose at him. Christine receives a threatening note and her townhouse echoes with mysterious cries in the night. That is when the handsome and irritating detective insists he temporarily move in to protect her. To add insult, it is with her family's blessing. Mary lives in Magna, a little town west of Salt Lake City, Utah. Together with her husband, she has six grown children, and five wonderful grandsons and two beautiful granddaughters. Mary's youngest daughter is getting married in June 2013, so the planning begins. Mary and her husband love to travel, especially to the Caribbean for relaxing and Italy for the wine. With the experience from the exotic places she has visited, she is able to fill her books with colorful descriptions of cities, painting a colorful backdrop for her characters. They are avid concert 'Ho's'! Yes, they pretty much want to do them all. They love outdoor amphitheaters the best and attend as many during the warmer months as possible. Mary and her husband are also enthusiastic college football fans. They have season tickets to the UTES, University of Utah Football and they tailgate every game. They love tailgating so much, that they were married at a tailgating in 1999. GO UTES!